In partnership with TME, Prozax has developed the SuperBlast 4.0 robotic dry ice cleaner for on-line cleaning of tire moulds. The system consists of a mobile unit with an integrated Cryonomic dry ice unit with a patented air lock on a self-propelled carriage. It features a Fanuc robotic arm with a hose for thorough in-mould cleaning. With a power supply of 3x400VAC/32A, the machine provides powerful cleaning with blasting pressure of at least 4 bar. It features two automatic blasting cycles: one for upper sidewall and tread segments and one for the lower sidewall. 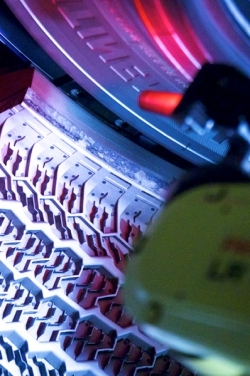 Simatic S7 controllers engineered by Siemens ensure smooth operation. The TME SuperBlast 4.0 was developed with easy, precise operation in mind. With the help of laser guidance and HD cameras, it makes correct centring and precise vertical positioning easy. 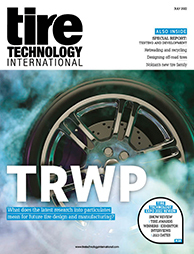 The proprietary software calculates the appropriate cleaning cycle for each tire size in a fraction of a second, thus accommodating a wide range of tire sizes.